In the words of Morten Georgsen, successful storage should, “…fit your home and needs, and it should also please your eye.” And he ought to know. 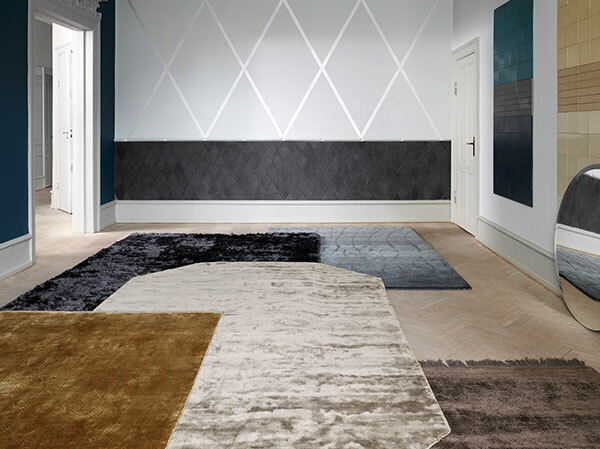 He’s the world-renowned Danish designer behind our entire storage range. We recently spoke with him in his Valencia studio, to discuss his background, career, process and the discipline of designing world-class storage. THERE AREN’T MANY NATIONS WITH SUCH A REVERED DESIGN PEDIGREE. WHERE DO YOU THINK THAT STEMS FROM? Everyone in Denmark has a love for great design. At the same time, it’s such a strong part of our heritage, that I think most don’t even think of it…it’s just a part of everyday life. We’re surrounded by beautiful design. You see it in the home, public buildings, railway stations and bars. So, you’re constantly getting a lot of input, which is why I think we Danes have that sense and appreciation of design in our blood. SO, DID DESIGN RUN IN YOUR FAMILY? My father was a decorator, specialising in window displays. He was also an artist, so we always had many strange people visiting our home [laughs]. I grew up in a little town that is today seen as part of Herning [the city where BoConcept began and where its HQ is based to this day.] And I can tell you that, back then, there weren’t many families in that part of rugged West Jutland that read home interior magazines. But we always did. My dad also made furniture, so yes, I grew up with design and creativity around me. 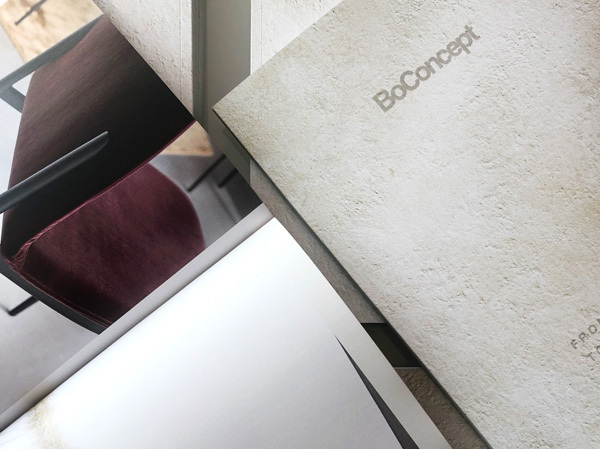 YOU FIRST PUT PEN TO PAPER FOR BOCONCEPT IN 1993 AND ARE STILL DOING SO NOW. HOW HAS DESIGNING FOR THE BRAND CHANGED SINCE THEN? In some ways, it was harder back then. 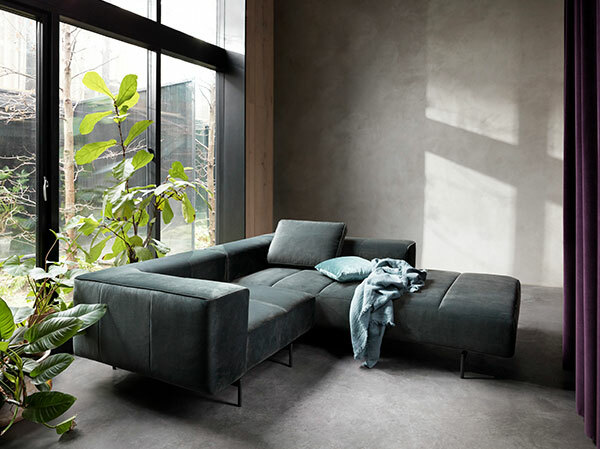 At that time BoConcept was a manufacturer that designed and built its furniture and relied on retailers for distribution. Everything was manufactured in-house, so, as designers, we were limited by what the company’s current machinery could produce. At the same time, it wasn’t the big brand that it is today, so, we would come up with ideas and just run with them. I would say that perhaps they weren’t so well thought through as they are today [laughs]. But looking back, the designs were innovative and very successful. Even then, we created some wall systems and tables that got a lot of attention from the public and the industry. 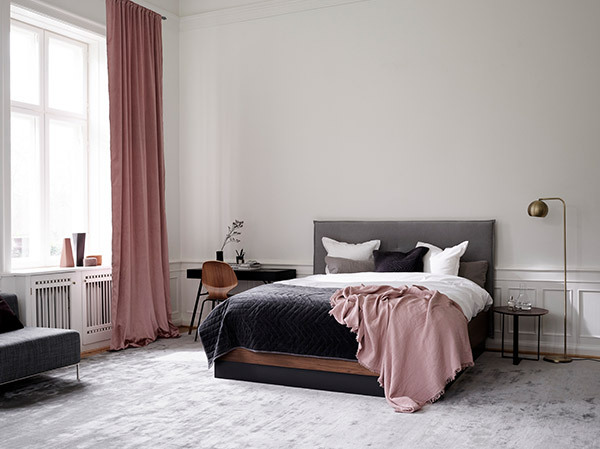 I’ve always loved working with BoConcept, because we share the same feelings on minimalism: that you shouldn’t just add to a design for the sake of it. Every element should have a purpose and should improve the design. YOU’VE PRODUCED NUMEROUS DESIGNS DURING YOUR CAREER. WHERE DO YOU FIND FRESH INSPIRATION? I’m not the guy who says he needs to sit in the woods and watch birds. [laughs] But wherever I go, I’m always using my senses and looking at the world around me. Whether I’m walking down the street here in Valencia, or anywhere else in the world, I’ll often say to my wife “look at that over there, that could be turned into a wall system,” or “the detail on that building could make a great chair.” So, I guess I would have to say that my biggest inspiration, by far, is life…you know, living. It’s also about making time to think. And I often do that on planes. I take many long-haul flights, and there’s nothing to do other than think. It’s also good to step away sometimes and watch a game of soccer or have a gin and tonic you know, because it is then when your subconscious will bring forth an idea. But returning to the importance of living, your subconscious can only work like that if you feed it with a lot of information. YOUR DESIGNS AGE GRACEFULLY REMAINING AESTHETICALLY PLEASING AND CONTEMPORARY. WHAT IS YOUR RECIPE FOR ENDURING, TIMELESS DESIGN? The recipe is about minimalism. I think it was Winston Churchill who wrote, “If I had more time, I would have written you a shorter letter,” and I completely agree with his sentiment. It is very easy to make a piece of furniture if you just add this piece here and that detail there. But what happens? The price goes up because of the added materials. And secondly, you have these needless details that don’t do the design justice. What I learnt, during my time at Bang & Olufsen, was to always keep my designs to their essentials, and that you should be able to be describe a design in just a few lines. It’s what the mid-century Danish designers did so well, and I was born in 1958, so I’m from that school. WHAT, FOR YOU, MAKES A PIECE OF STORAGE FURNITURE SUCCESSFUL? It must be practical; but a box is practical, so that goes without saying. [laughs] I think successful storage should also be simplistic in isolation, yet look like modern sculpture when combined. It should be able to fit your home and needs, and it should also please your eye. I think one of the things I’m very good at is finding beautiful proportions. WHEN APPLYING THE PRINCIPLE OF MINIMALISM TO AN ITEM SUCH AS A WALL SYSTEM FOR EXAMPLE, YOU COULD BE TEMPTED TO ASSUME THE RESULTS WOULD BE COLD AND OVERLY TECHNICAL. BUT YOUR DESIGNS ARE ALWAYS WARM AND ACCESSIBLE – STORAGE THAT WORKS IN ANY HOME. HOW DO YOU STRIKE THAT BALANCE? Leonardo Da Vinci talked about the Golden Ratio and I think the balance you mention has a lot to do with proportions. When you combine those pleasing proportions with beautiful colours, materials and craftsmanship, you create a design that evokes a good feeling. YOU ARE AWARD-WINNING AND HAVE A LONG, RESPECTED CAREER AND PORTFOLIO. WHAT DO YOU THINK IS BEHIND YOUR SUCCESS AND LONGEVITY? Firstly, hard work. I am also creative. I’m always thinking deeply about the end consumer’s needs and finding new ways to solve them. And I also believe in the principle of staying forever young. That doesn’t mean that I lie about my age. [laughs] No, I always want to remain curious and keep up to date with what is going on. You know, there are seven other designers who work with me, and I’m the one who wants to challenge the way things are done. I always want to ask the questions, “what if?” and “why don’t we?” I think it’s important to challenge yourself and the people around you. 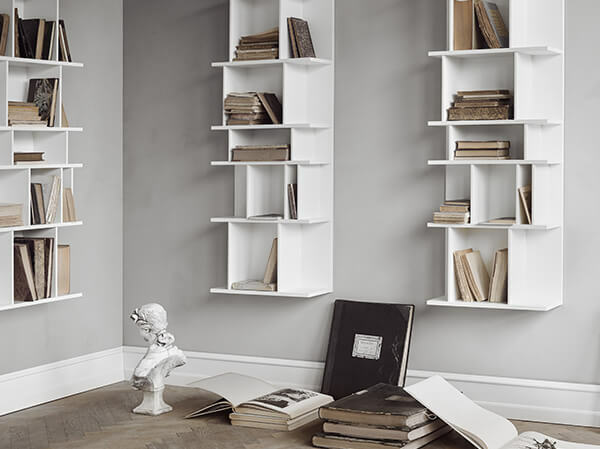 WHAT IS YOUR FAVOURITE BOCONCEPT STORAGE DESIGN AND WHY? Oh, that’s a hard question. I would have to say the Bordeaux. To create a design like that is very hard, because you don’t have a lot of things to play with. You have a few pieces of metal and some shelves. But what Bordeaux does, is make the toughest place in any room – the corner – beautiful and functional. Because everything typically looks stupid in the corner. 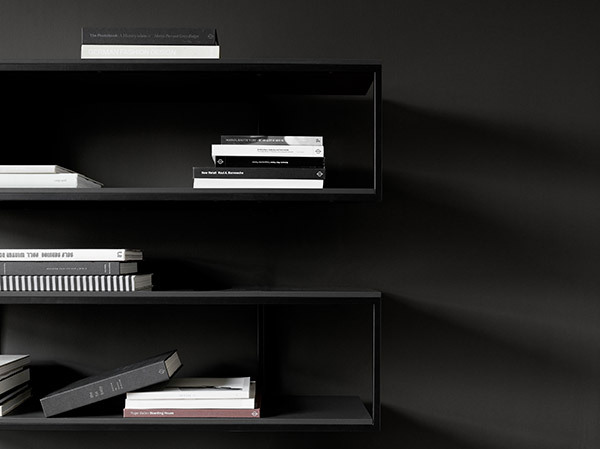 Many would call it a simple shelf, but it’s exactly that elegant simplicity that makes it work. I love it.